Dmytro Bondarenko is a contemporary Ukrainian writer of fiction. Was born 1974 in Dniprodzerzhinsk, Ukraine. His book "The Seventeenth Floor" won 1th prize of United Nations Office in Ukraine in 2008 and also was the winner of readers' sympathies of the "Ukrainian service BBC" 2006. The books "The Rat" and "A love in Dnipropetrovsk way" were awarded by Ukranian national-wide contests for young writers "Smoloskyp" and "Granoslov". 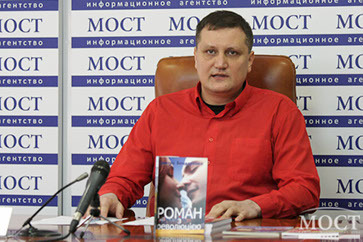 In 2011 Dmytro Bondarenko was declared as the best readers' sympathies writer of contest "Literary hope of Dnipro region". During 2015-2016 the English edition of "The Seventeenth Floor" reached the first place on AMAZON in category Eastern European Literature and also hit the TOP-100 books in category Medical Thrillers a few times. Now the author is living in Dnipropetrovsk, Ukraine. "An affair with the revolution"